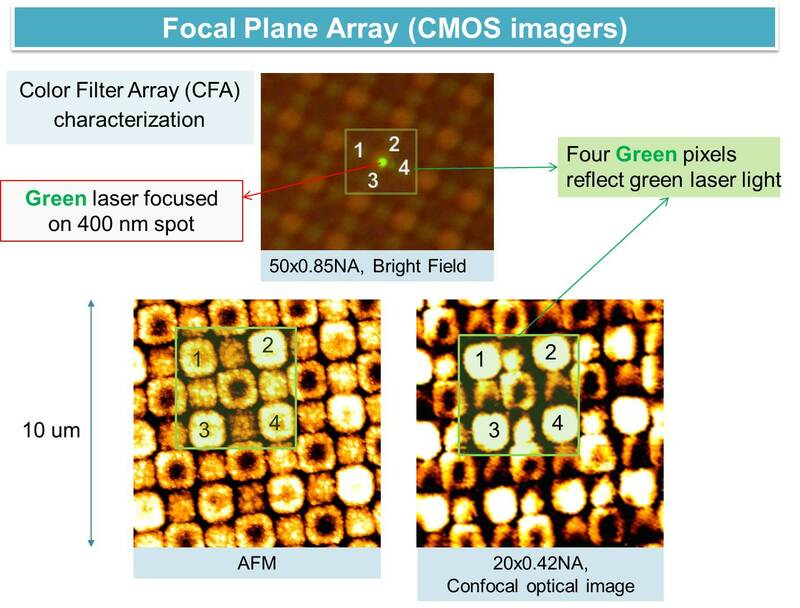 ACTO-S – confocal microscope for your AFM to do Scanning Probe Microscopy, Raman Spectroscopy, Optical Spectroscopy, Tip-Enhanced Raman Spectroscopy (TERS) and much more! 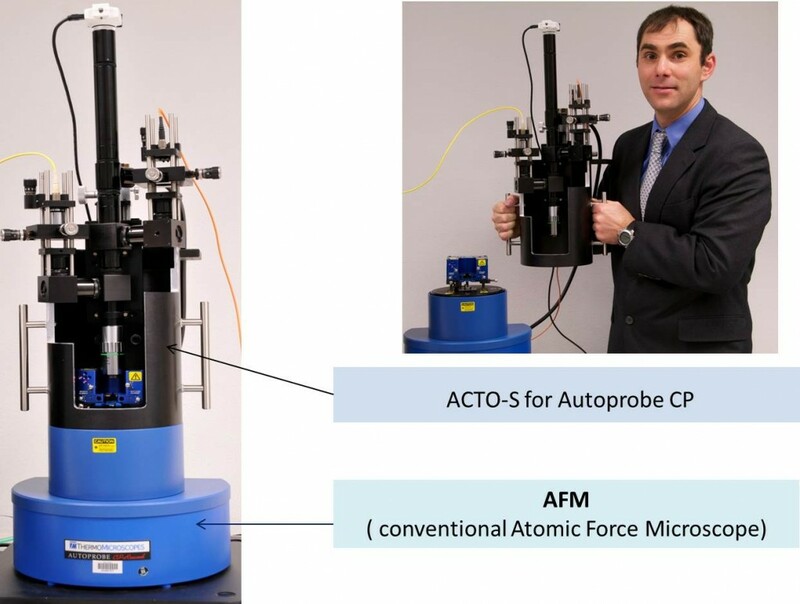 ACTO-S compatible with most AFMs and the price starts from 18K. 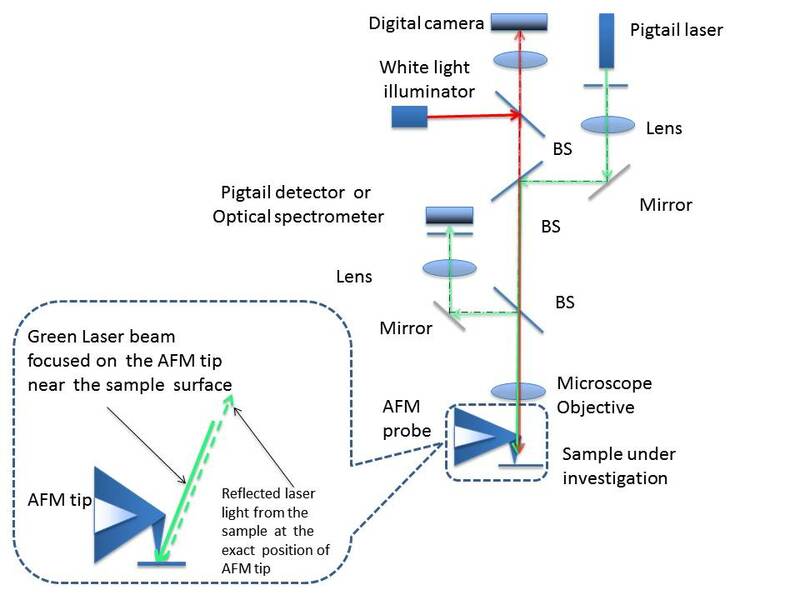 You could apply your own x, y, z, stages and use it with your own lasers and optical spectrometers. 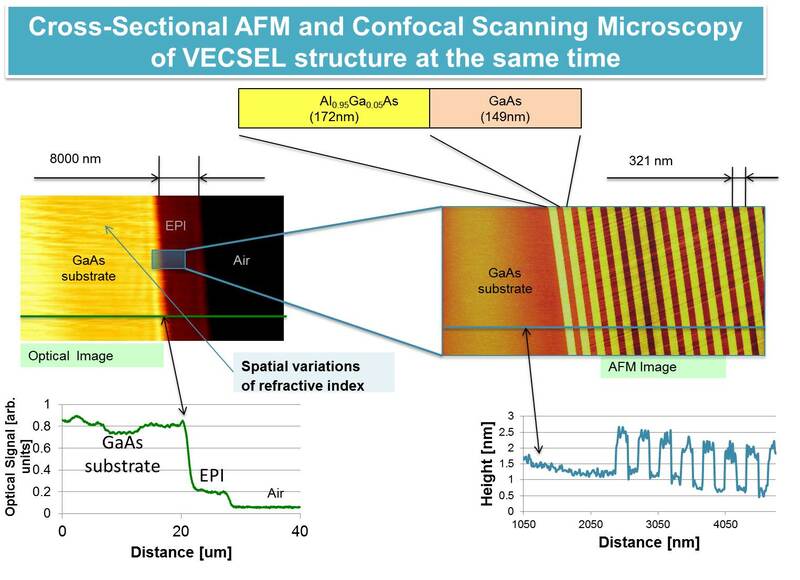 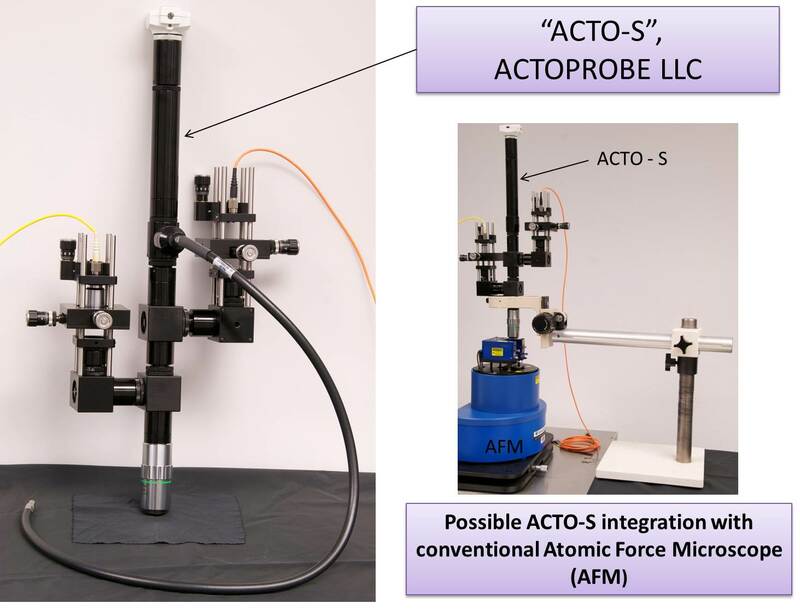 ACTO-S integration with Autoprobe CP AFM.